Pop down to Trinity and grab yourself a limited edition mug, lovingly hand-finished by artists at the People's Republic of Stokes Croft (PRSC). Choose from two original designs: a floral design featuring our iconic towers and The Trinity Fox produced and signed by Andy Council. 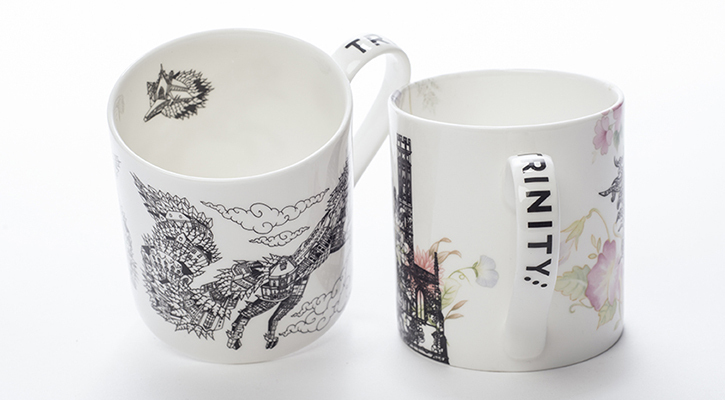 Proceeds raised through mug sales will go towards the repairs of the Trinity Centre - read more about the Trinity Centre Conservation Project. - each one is unique! Or pick up £25 for the pair!